Readers should take some time to study this photo well. 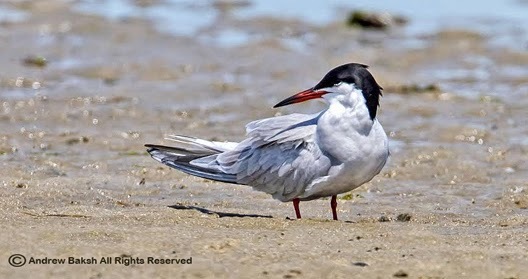 It is of a Common Tern but more importantly, can you tell what age? If you think you know, then leave a comment. 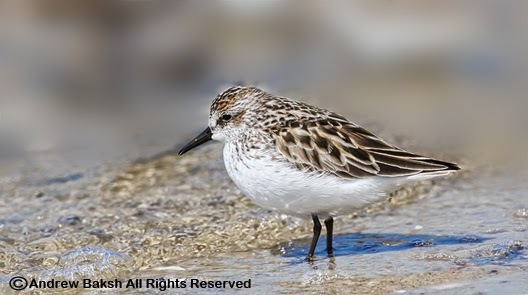 Regular readers know by now how I much I lament the often times non involvement of our birding community when it comes to protecting wildlife habitat. At least that is how I see it. We have the numbers but for whatever reasons, we don't seem to have the clout. 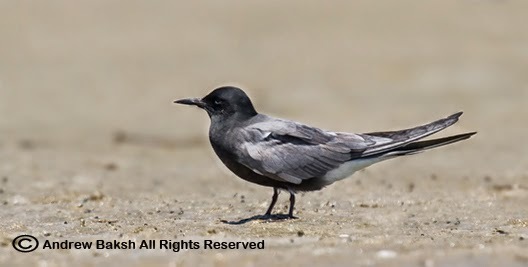 Why the lack of involvement in things that matter such as the restoration of the West Pond at Jamaica Bay, is something that I struggle to come to terms with. 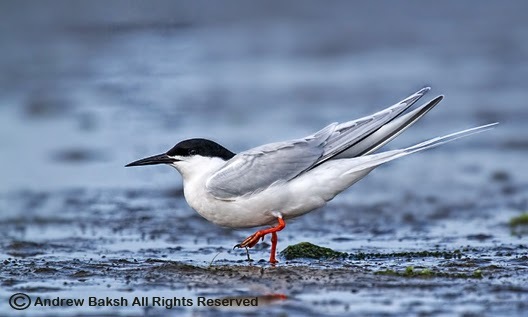 I respect everyone's right to do as they please and understand, that many of us would rather just go out into the field and observe, photograph or listen to the birds we love and can't be bothered with activism. 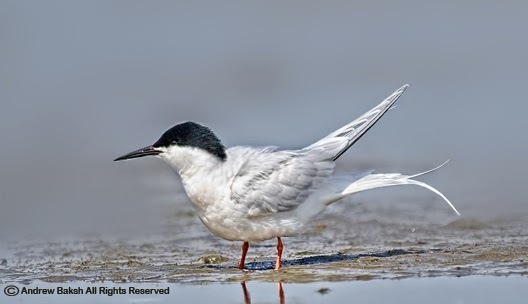 However, what happens when there are no more places for our feathered friends? What then? Will we then break out into a cacophony of, "I wish", or "If I only knew." Okay, maybe, getting out into the field for conservation matters is not your thing but there are other ways to support the conservation of wildlife and the habitat they use. Here is one way to do something that does not involve much other than a few clicks and a few bucks. 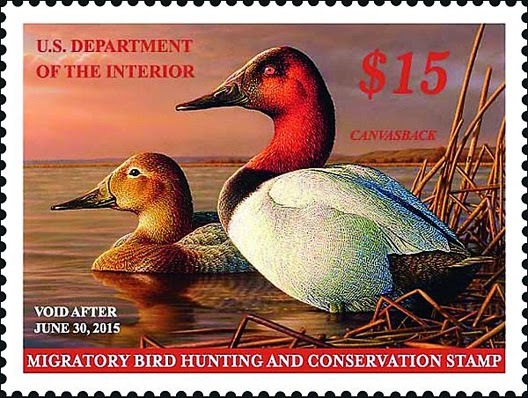 The American Birding Association is offering the Duck Stamp, formally called the Migratory Bird Hunting and Conservation Stamp or Federal Duck Stamp through their website. This stamp which cannot be used for postage was conceived in 1934 as licenses required for hunting migratory waterfowl. Today, the stamp has a much larger and VERY important role. 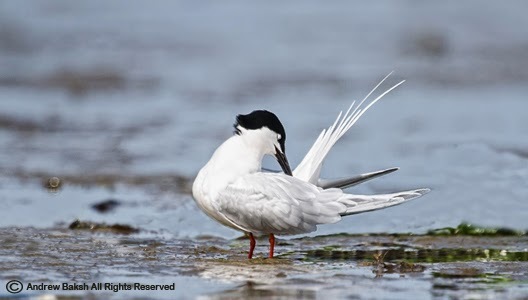 Ninety eight cents out of every dollar spent on a duck stamp is used to buy or lease wetlands for protection in the National Wildlife Refuge System (to learn more, visit the website of U.S. Fish & Wildlife Service). 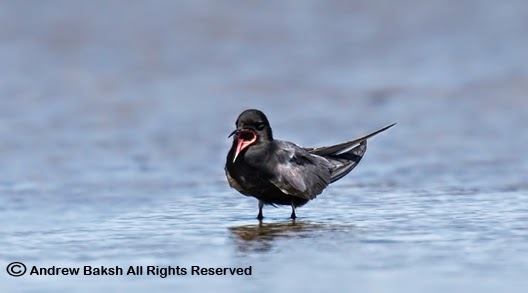 In addition, the stamp can be used an entrance pass to any National Wildlife Refuge where an admission fee is charged. So for a few bucks, you contribute to wildlife conservation and also get an admission pass that could save you money. How cool is that? 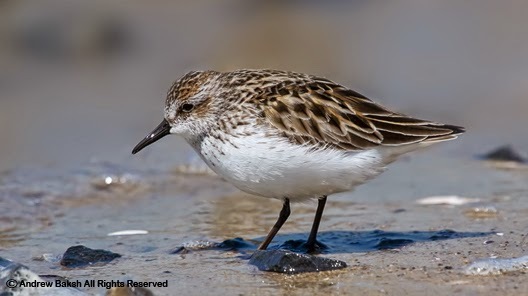 By purchasing the Duck Stamp through the ABA, you are helping to show that there are a great number of birders who use many of our Wildlife Refuges throughout the US and we support habitat and bird conservation. If we want our voices to be heard, then we have to put our money where our mouth is to get our seat at the table. I got mine. Will you take a moment and get yours today? 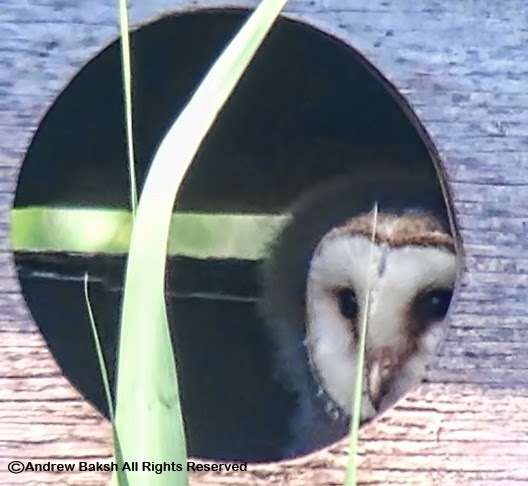 On this Throw Back Thursday, I look back at some of the work that was and still being done by volunteers in Jamaica Bay to help our Barn Owl population. The Barn Owl (Tyto alba), population continues to do very well at Jamaica Bay thanks to nest boxes, that are installed on many of the remote islands around the bay by volunteers and coordinated by the American Littoral Society with cooperation of NYC Department of of Environmental Conservation and Gateway National Park Service. I have been involved in several banding and nest box maintenance whenever I have the time to assist. Did you know that Barn Owl feeds primarily on small vertebrates, particularly rodents? Studies have shown, that an individual Barn Owl may eat one or more rodents per night; a nesting pair and their young can eat more than 1,000 rodents per year. 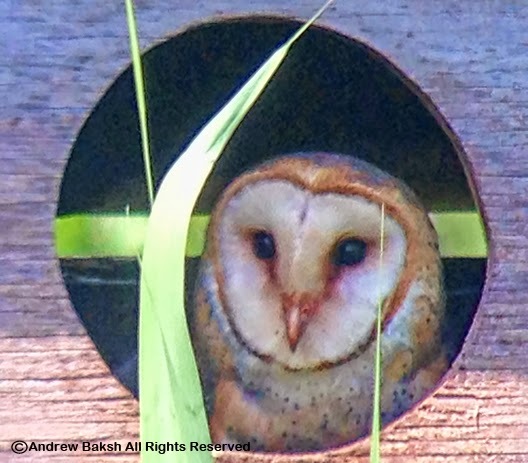 Given its eating habits, who would not love to have Barn Owls in their neighborhood? Barn Owl Team back in 2009. 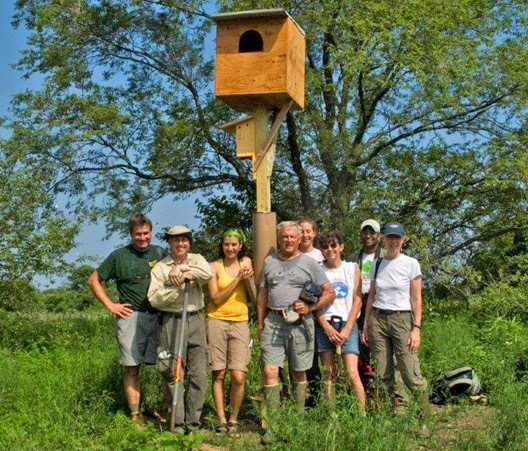 One such nest box at Big John's Pond on the East Pond side of the Jamaica Bay Wildlife Refuge, offers visitors a unique and close up look at Barn Owls. We love our Barn Owls at Jamaica Bay, so last year, when word got to me that the the Big John's box was invaded by Racoons, I sprung into action. After several e-mails, prodding and basically nagging to get in and do the repairs (it took awhile), a few of us including (Lloyd Spitalnk and Harry Mass of New York City Audubon) got together to fix the box sans NPS. 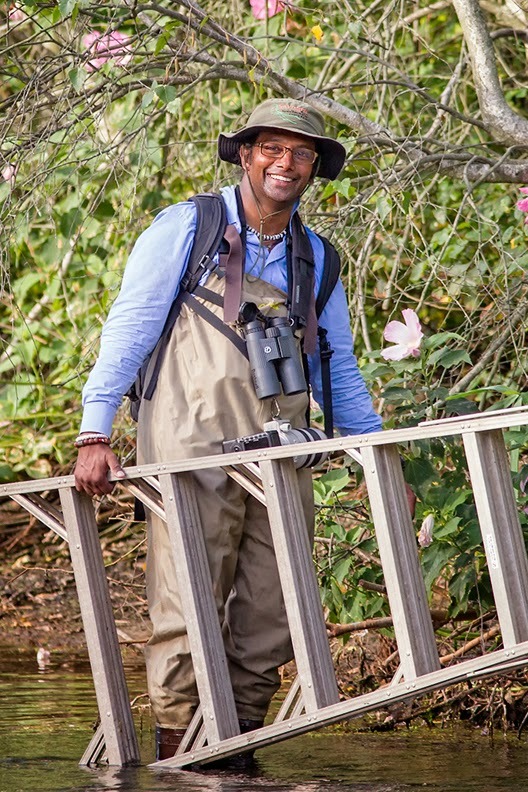 This photo taken by Lloyd Spitalnik, (see his excellent photography here) of yours truly shows me in full waders. It was in August and it was sweltering wearing the full waders, but it was necessary to get to the box. Once there, we did the repairs and I even cleared hanging branches that were near the box to remove all aid for any future attempts at an intrusion. I should note that the box was occupied, by a Barn Owl (no eggs or young) that flew out before we got there, which was a good sign that the box was being used. We even left a bit of space in the back to provide more air for the nesting Owls, since it is sure to get hot and stuffy once Owlets and their parents occupy the box. Owlets - 3 of them observed on Friday 6-13-2014. I am happy to report that the box continues to produce and we currently have 3 Owlets doing quite well. Last Friday with a bit of patience, I saw the 3 little ones and 1 adult. It took me 1 hour and about 45 minutes of wait time to observe and document the occupants of the box, but it was quite pleasing to see the work that I and others put in to repair the nest box was not in vain. 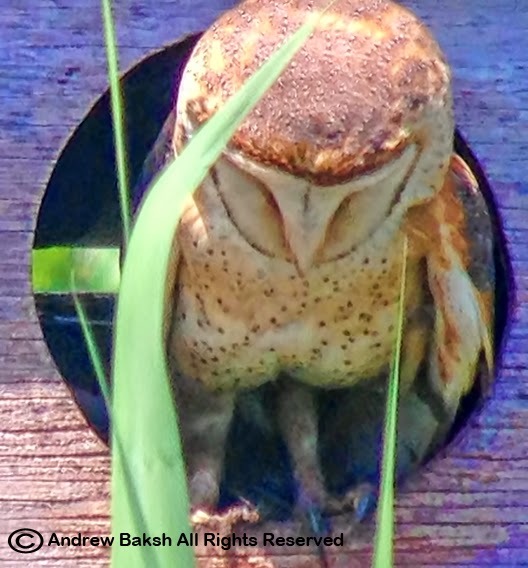 Peek -a-boo with an Adult Barn Owl. 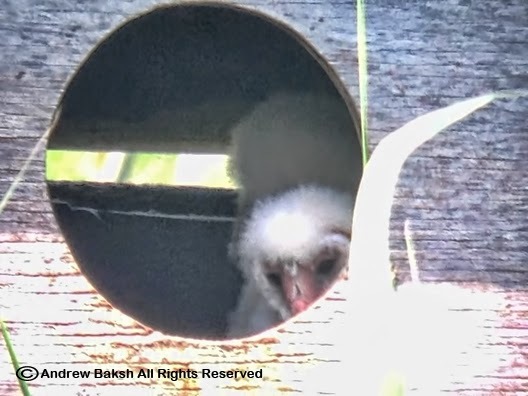 If you have not seen a Barn Owl in the wild, this is a good spot to get a look at one and if you are patient you might even see the Owlets as they peek out. Just be patient and do not use any methods to entice the Owls out of the box. The wildlife is there for us to enjoy without us being intrusive. Hello There - Adult Barn Owl. On this, "Throw Back Thursday." I look back to April 2013, when I witnessed an incredible take down on the East Pond at Jamaica Bay Wildlife Refuge, in Queens New York. I was counting birds on the South End of the East Pond, paying close attention to the number of Snowy Egrets, which was definitely going to trip the eBird filters, when suddenly I was alerted to the wariness of the birds in the southern most east corner of the pond. The Snowy Egrets, Little Blues and Great Egrets that had congregated at that end, all seemed wary. It wasn't my presence since I happened to be at an acceptable distance, but instead it was the lucking presence of a Great Black-backed Gull, that apparently had them worried. Like those birds I sensed there was trouble brewing, but the lone Glossy Ibis feeding by itself did not seem too concerned. As I watched the GBBG sidle up to the Glossy Ibis with intent in its eyes, I had this sinking feeling that this bird was going to get whacked! 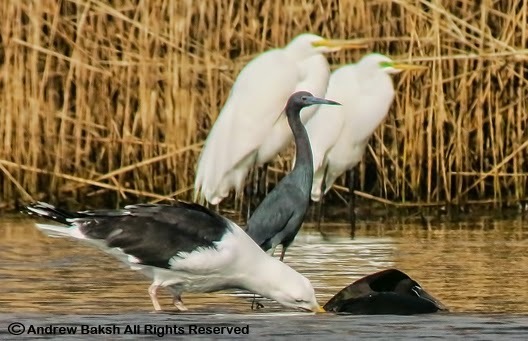 I had seen GBBG take out ducks before but never a bird as big as a Glossy Ibis. Maybe, I was too worried. Wrong!! 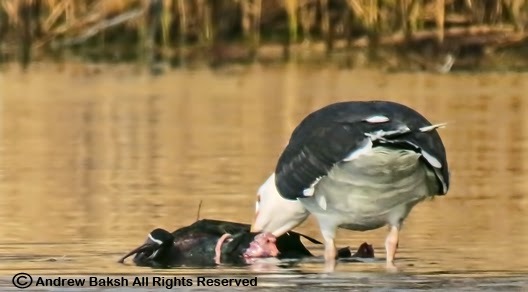 It happened very quickly, the GBBG once within striking distance, made a vicious jab at the Glossy Ibis and immediately the damage was done. Even though it tried to pull away, the GBBG held on and began to drag it down all the while jabbing away. I was stunned!! Recovering from the initial onslaught, I managed a few digiscope shots of the bird as it was being eaten alive. 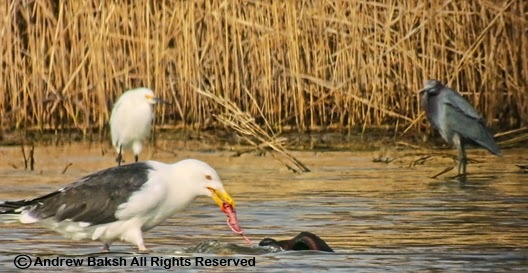 It was not a pretty sight but this take down was all part of the circle of life and this Great Black-backed Gull, proved what a beast it is, in terms of driving fear into the hearts of its peers. Murder on the East Pond, I hope I don't witness too much of that in the future. 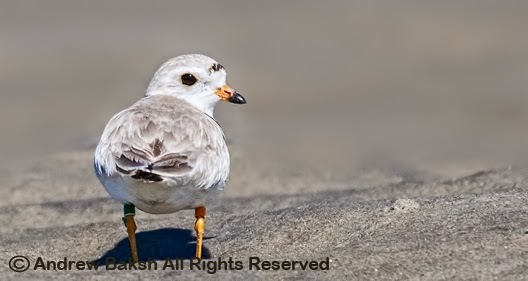 Readers may recall back in April, I posted to the blog, an image of a banded Ring-billed Gull, B1TU. 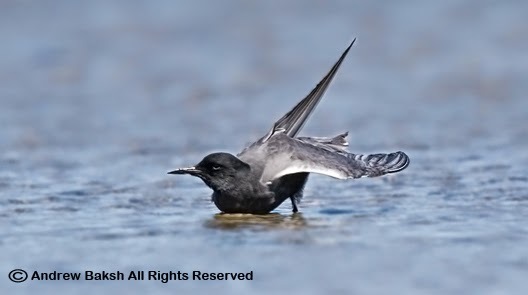 I had reported the sighting along with the band details to the Bird Banding Lab. 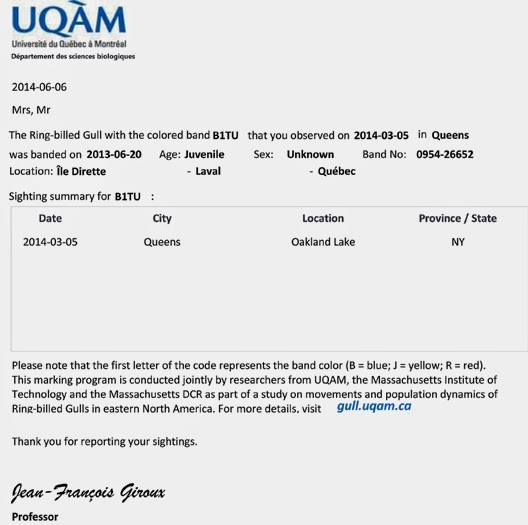 A few weeks ago, I was contacted by Professor Jean Giroux who recommended that I also send the information to another website in Quebec Canada, which is a website being used to document the research of Ring-billed Gulls. The request was sent during the time I was in remote areas of China (no internet), so I could not get this done, but did so once I got back to NY. 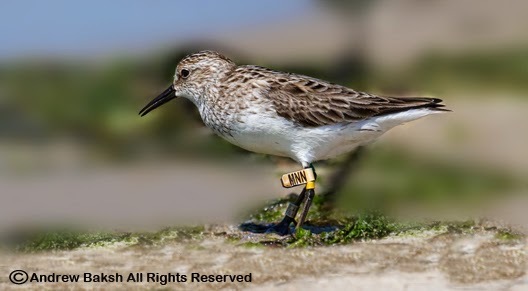 This morning, I received word from Professor Jean - Francois Giroux who sent me information showing that this bird, a juvenile, was banded on June 20th, 2013 in Quebec Canada. 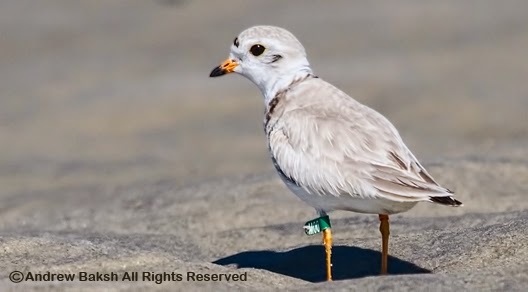 This banding program, is a joint effort conducted by researchers from the University of Quebec in Montreal CA, Massachusetts Institute of Technology and Massachusetts DCR as part of a study on the dynamics and movement of Ring-billed Gulls in NA. My sighting of B1TU, is the 1st entry in the summarized history of this bird. Keep an eye out for B1TU, your observation could be the next entry and as always, look for others as well. Our reports of banded birds such as this Ring-billed Gull are invaluable data to the researchers.